Evercore ISI says Ferrari has six major challenges to overcome in 2018. The stock has outperformed the S&P 500 since its 2015 initial public offering. Ferrari has held its own since its 2015 initial public, outperforming the S&P and more than doubling its opening share price, but 2018 presents a new sets of challenges, Evercore ISI says. In a note to clients Wednesday, analyst George Galliers laid out six challenges for the Italian motor company that could make 2018 a difficult year. 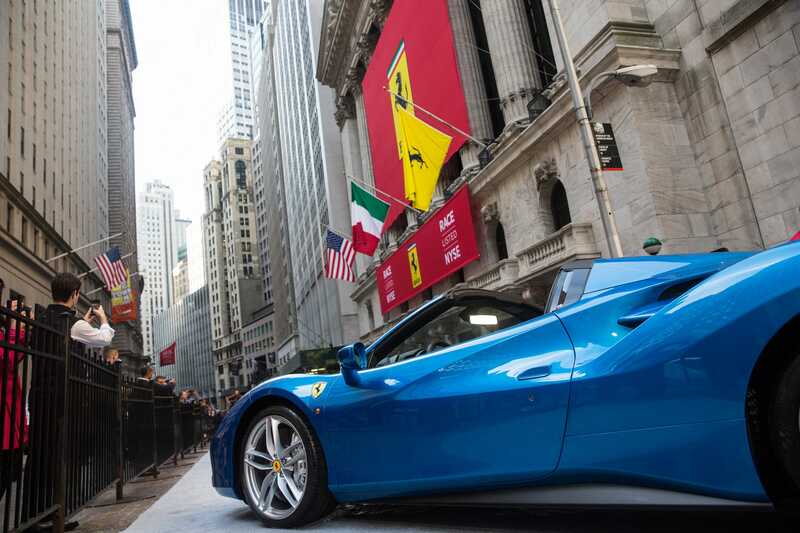 It’s a lengthy list – one that includes competition like a potential Aston Martin IPO, Lamborghini beating Ferrari to the utility vehicle segment, and most comically, the full decade since Ferrari has won a Formula 1 driver’s championship – yet Evercore remains confident in Ferrari’s ability to persevere. Galliers has a price target of $US115 for Ferrari shares, 4% below the stock’s $US120 price Wednesday afternoon. Wall Street analysts polled by Bloomberg have a slightly more bullish consensus target of $US131.